Many other giveaways are listed on the right side of my blog, so please take a look before you "click away" from here. Additionally, I have a wonderful new giveaway at the end of this post, to show my appreciation for my readers, and to help celebrate my blogiversary. 5 years! Can you believe it? 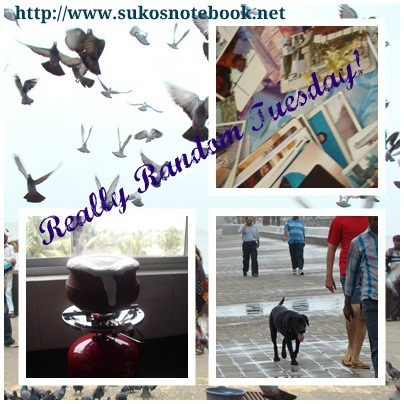 I started this book blog in May of 2008. Time flies when you're blogging about books! 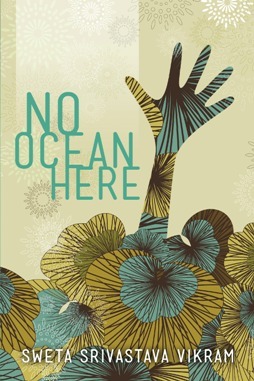 On International Women's Day, March 8, I posted my review of No Ocean Here, a new collection of poems by Sweta Srivastava Vikram, part of the World Voices series. Recently, No Ocean Here ranked #6 for Asian-American poetry for Kindle sales. One of the poems in this powerful book, Auto Immune Deficiency Syndrome, is featured in an AIDS awareness film, The Dawn. And India-based Bell Bajao, a cultural and media campaign that calls on men and boys to take a stand against domestic violence, published the same poem as part of Violence Against Women Awareness Month. Award-winning writer Sweta Srivastava Vikram and Modern History Press are generously offering an international giveaway for two copies of No Ocean Here (US/Canada/UK: print copy or ebook; other countries: ebook). Enter by 5 PM PDT on Monday, May 27. One winner will be selected randomly and announced on Tuesday, May 28. Good luck! Happy Blogversary Suko! We share the same month, mine is this month too :) Here's to many more years of book blogging. I'll be reading Ann Whitely-Gillen's book also, it sounds like a good one. Sweta Srivastava Vikram is a great poet, I have enjoyed her work. Thank you for your comment, Naida. I'm glad you were able to leave one--apparently others have had difficulty leaving comments today (I will investigate). Congrats on 5 Big Years - my 5 years is in June....amazing we stuck with this that long. I'm happy I found your blog early on. Happy blogoversary Suko!!! Wishing you many more years! Freda, I look forward to reading your review. Thanks for stopping by! Happy Blogivesary Suko! Five years is impressive. May your next five bring reading and blogging happiness to you! 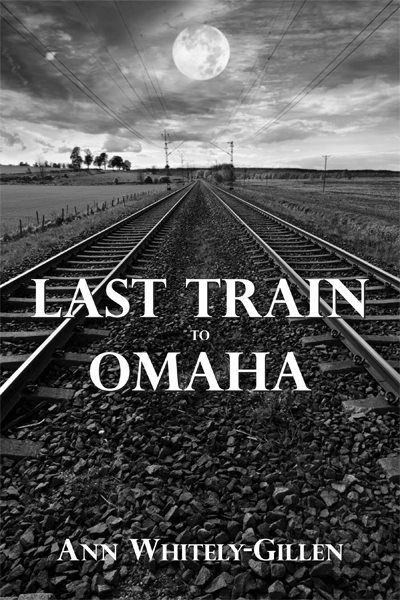 Well done to Petite, I know she is going to love Last Train To Omaha. Congratulations on five wonderful years and here's to many, many more. Happy 5 Year Anniversary Suko!!!! Amazing how time flies when one reads!!! Happy 5 year blogiversary! In April it's been 4 years that I've been blogging. Can't believe it's been that long already. Congrats Suko. Five years shows great commitment, and you share so much useful information here. Keep it up! Happy Blogiversary and congratulations to Petite on the win. Time sure does fly past, it seems like only yesterday I found the book blogging community. Congrats on the 5 years of blogging about books. I don't know how many years I've been blogging. I have to many blogs to keep track of the years, anywho, I hope you have many more fun years of blogging. Happy blogiversary Suko ! Five years ! So numerous and interesting books and as numerous and too interesting posts. Thanks to share with us all your discoveries. Thank you for all the words of encouragement. I appreciate them! Happy Late Blogiversary! I completely missed my five year one in March this year. Lol. It's hard to believe we've been doing this for so long already doesn't it. I think it's great to see the wonderful blogging community that's been built over the years. Thank you for your kind words, Anna! Please do not feel pressure to leave more comments. Although I enjoy reading them, I know you're busy.